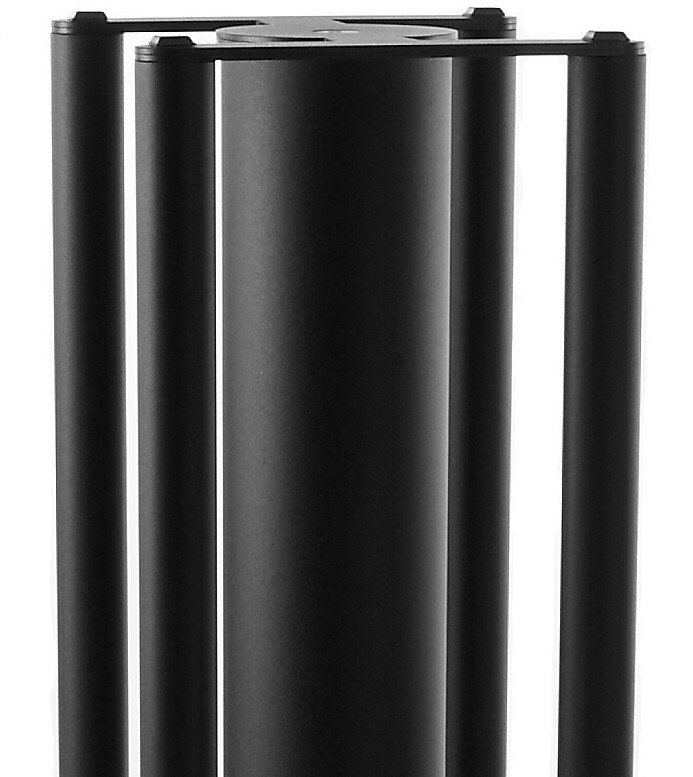 Crafted by Custom Design, this stunning piece is based on their award-winning FS104 stands with full authorisation from Kef to make their official stands, in black, white and charcoal. Earn 237 loyalty points when you order this item. 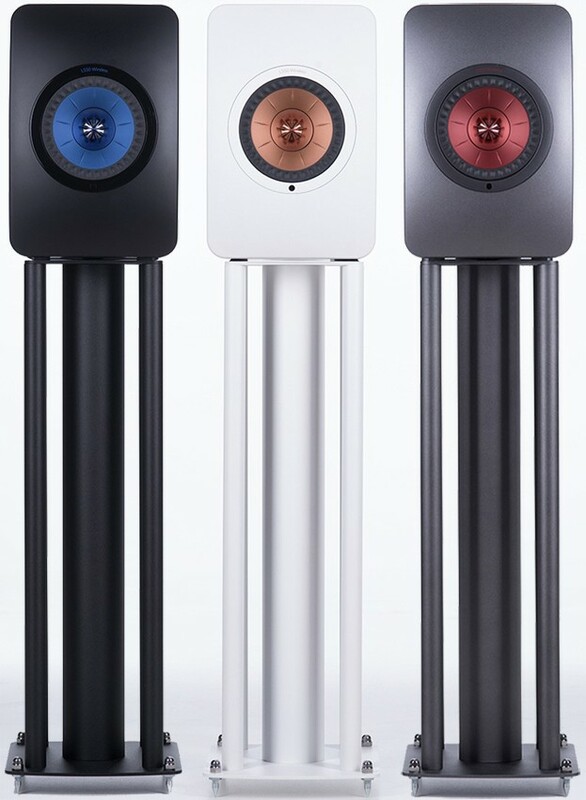 Custom Design FS50 speaker stands were specifically designed and manufactured for the KEF LS50 speakers and are based on the award-winning FS104 Signature from Custom Design. It is available in a choice of three finishes to match the LS50 colour options and retain their stylish look. 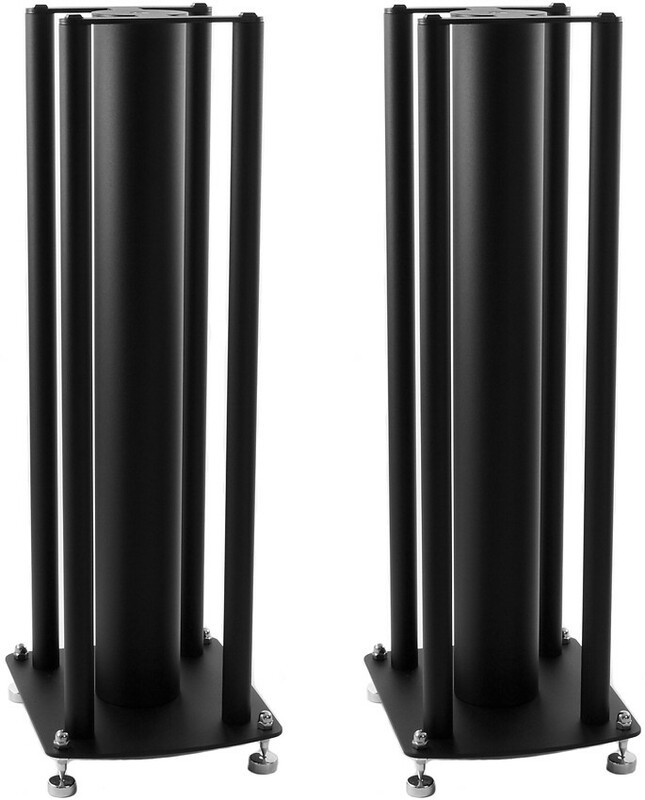 The performance improvements when placing your LS50s on these stands are substantial, especially in the dynamic range which seems more open and free compared to conventional central, mass-loaded designs. Stereo imaging and precision timing bring more excitement to your listening experience all with an accurate and controlled bass performance. The top plate is manufactured from acoustic steel and base plate is designed by KEF to flawlessly suit the LS50s. 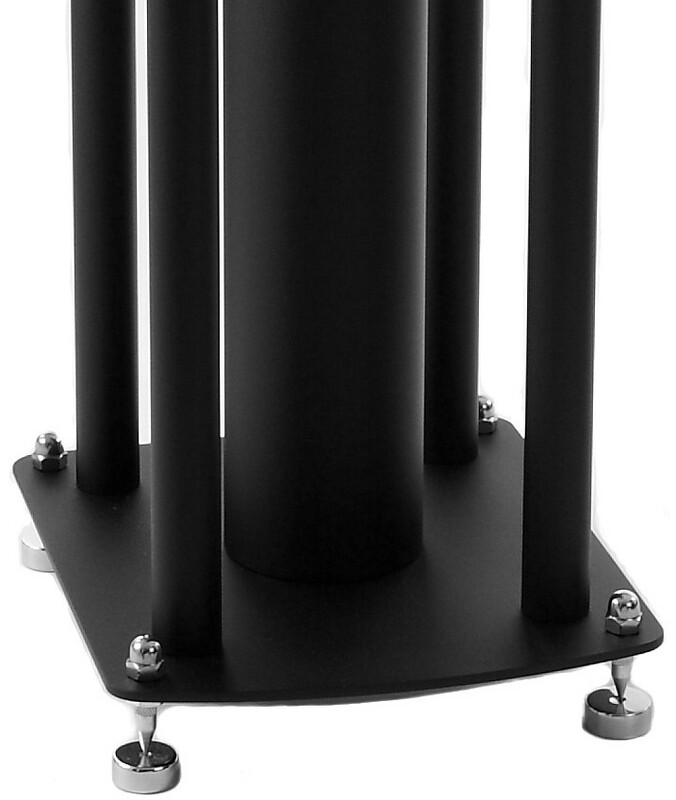 Designed to have minimal effect on speaker performance, the stands feature 5 support columns to provide a totally solid support for those who demand a more exciting and dynamic performance from their speakers. 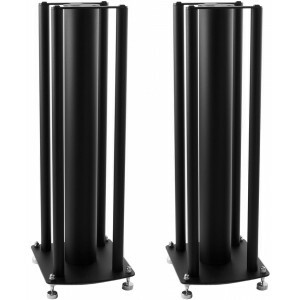 An exceptional example of proper British manufacturing, the central column on these speakers can be easily mass loaded, and the four satellite columns combine to provide a totally rigid speaker stand. To mass-load the centre column with Custom Design's Inert Filler, we recommend two bags for each 24" column. The design of the stand is outstanding. The frame blends with the speakers aesthetically perfect. However, according to the instructions you have to remove and realign the Kef’s speakers’ feet in order for the two to align. After a $400 investment I do not want to tinker with the two. Having said that, once assembled the two are a work of art.